Camping and hiking trips belong to those activities that need lightweight backpacking tents. 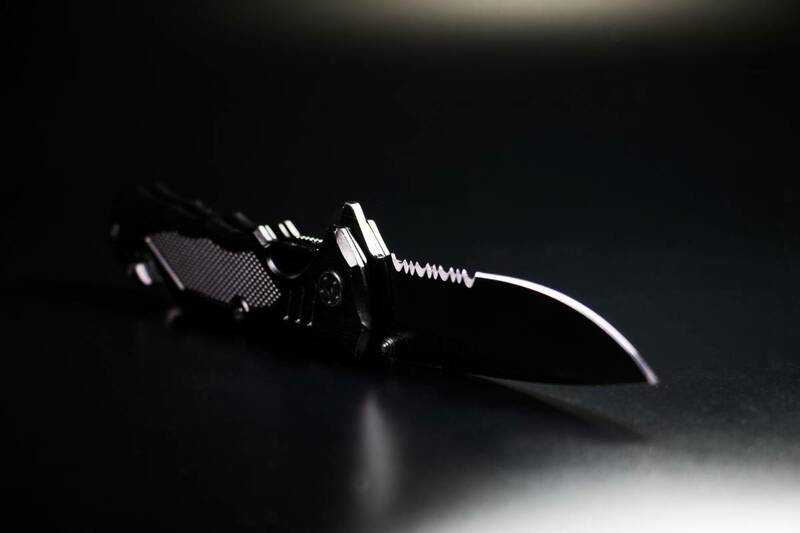 These outdoor activities are very enjoyable and spontaneous that you have to choose the perfect gear for your adventures. However, it may lead to an overwhelming experience when picking an affordable and high-quality backpacking tent. 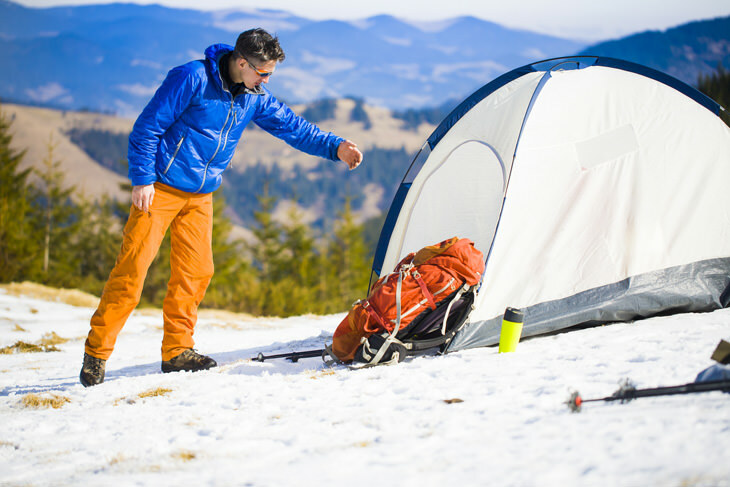 So, to make sure that you stay safe and secured on the unpredictable weather, you need to select the backpacking tents carefully. Not only that you need to rely on the cost of the product, but also you need to consider your overall activities in the wilderness. The Alps Mountaineering Tent has a polyester taffeta. Also, it is freestanding, with 2-pole aluminum design. This tent comes with pole clips for easy setup. Plus, the polyester rainfly of this backpacking tent prevents UV rays from passing through it. It has Factory-sealed floor seams and rainfly for extreme weather protection. It also comes with extra large zippers. The Coleman Sundome is 33% more water resistant compared to the usual Coleman tent. It also comes with two windows for ventilation purposes. Plus, it has a rain fly for additional extreme weather conditions. Its dimension is 7 x 5, with 4-feet height in the center. 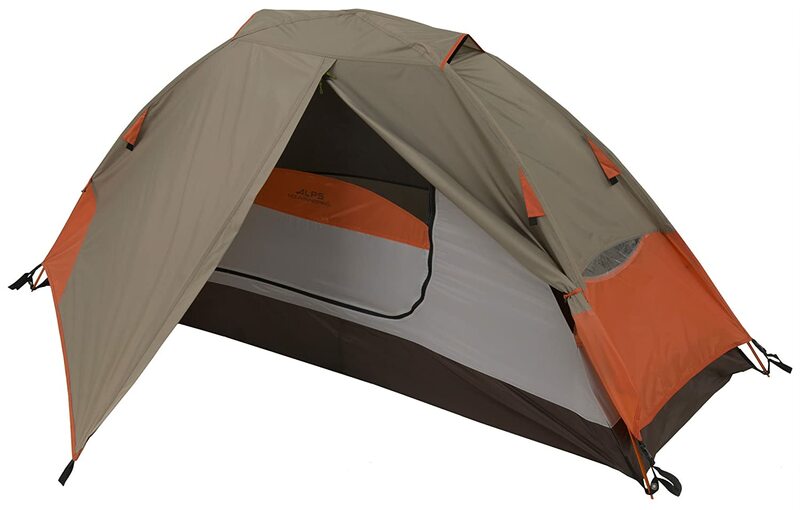 The Mountainsmith Tent has been recognized by the 2011 Backpacker Gear Guide and even awarded as the “Killer Deal” and the “Killer Value.” Additionally, it has a bathtub floor design and taped seams that keep the interior of the tent dry.It is a 2-person backpacking tent and also has a 2-pole model. What’s great about this backpacking tent is that it comes with a color-coded rainfly. Plus, the instructions are labeled on the sack of the tent. The tent has a polyester taffeta material. It comes with a free standing 2-pole innovative design. 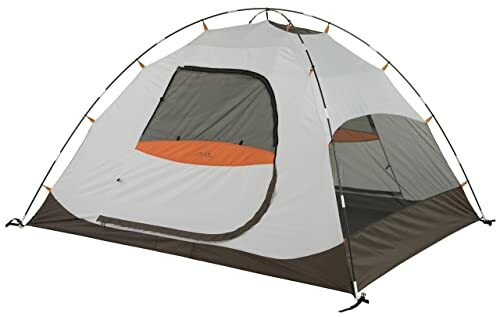 Plus, it has shock-corded fiberglass poles, and it has an excellent ventilation system.Additionally, this tent comes with 2 zipped windows and large-sized side mesh sheets. Its ride pole offers an awning over every door of the tent. It also comes with Factory-sealed floor seams and rain fly. Lastly, it has a convenient entry with a single zip door. The tent is quite compact and small. Also, it is ideal for a 1-man trip. It comes with PU coated rainfly. Plus, it is a single entry tent, and it has taped seams. Moreover, the interior of the backpacking tent has a nylon with polyester mesh. The tent is very lightweight for campers and hikers.Plus, it comes with a waterproof polyurethane coating. It also has DAC Featherlight poles. But what sets it apart from other backpacking tents is the fact that it comes with a repair kit. You see, picking the right tents for backpacking is such a frustrating decision that can be influenced by how, when, and where you decide to camp. The three top items that have huge effects on your weight of packing are the backpack itself, the tent, and the sleeping bag. Thus, you need to start investing in a backpacking tent that is entirely cost-effective and is lightweight to pack. Luckily, we have come up with the best tents for backpacking and what features you have to look to have the right tent for you. Tents for backpacking purposes can have a size ranging from 1 to 4 persons. Some of these tents include a label of the allowed size. So, to keep a low weight of the tent, make sure that they fit cozily. No manufacturer will tell you a tent for every dimension. Thus, you need to know that a 2-person capacity tent may also differ from one brand to another. 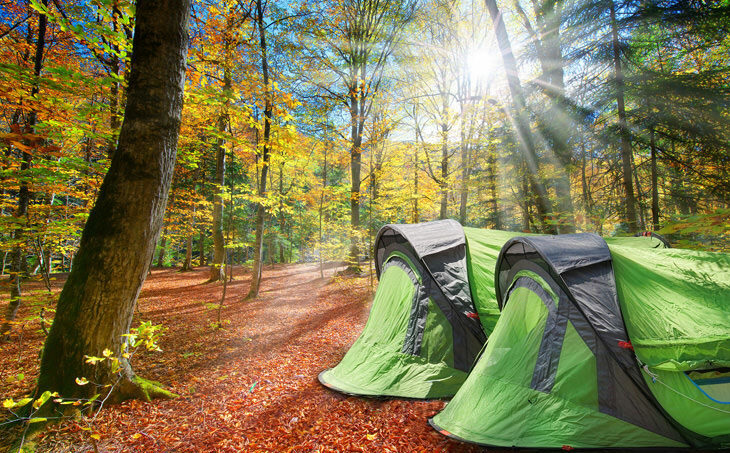 If your family is larger than the average, you need to consider purchasing a plus-size tent. Plus, it will offer you some additional space, width, and length. The 3-season backpacking tents are very lightweight. It can adapt to almost every weather conditions, especially during summer, fall, winter, and spring. 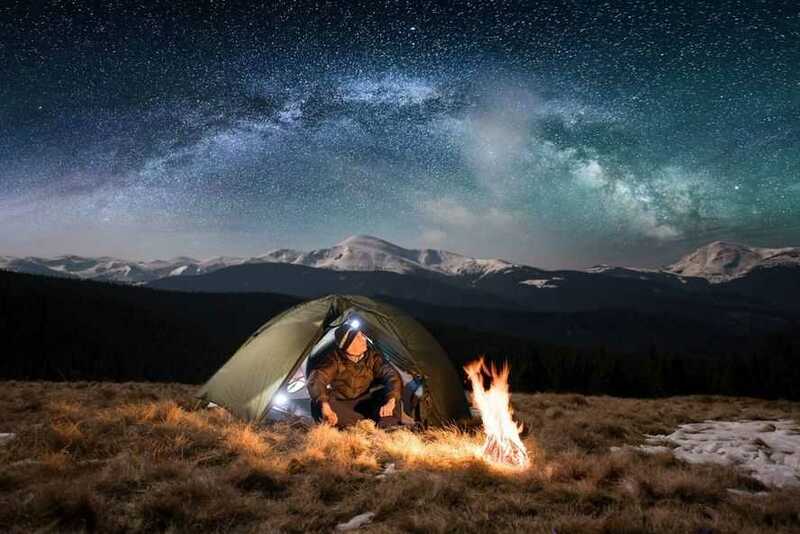 And by far, it is the most popular selection for backpacking tents. Moreover, it has a properly built rainfly. Thus, it can withstand torrential rains and light snowfall. However, it cannot sustain violent winds and heavy snow. These are suitable for summer outdoor camping. However, you can still utilize it for outdoor activities during the spring and fall when you can encounter moderate snowfall. 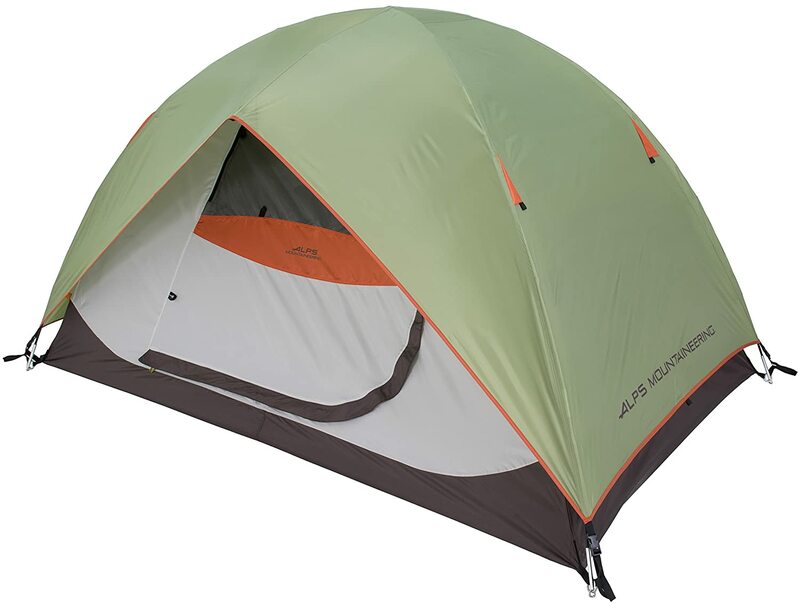 Also, these backpacking tents are also excellent for campers who have frequent trips. They are also suitable for high places like hills and mountains. These tents are best for the winter months. It can withstand harsh winds and heavy snowfall. However, they don’t have loads of ventilation, and they may become quite airless during beautiful weather conditions. But, they have rain flys that may extend near the camping ground. The choice of your tent will give you change to lighten the weight load you have to carry for your adventure. The new innovative designs of these tents may have less weight. In fact, they may have less than 3 pounds and they may be quite spacious. However, although some tents are quite heavier than the other, they are quite sturdier. Their materials can be durable. Backpacking tents are traditionally space-efficient. They have sloped walls, low-built headroom, and narrow spaces. Moreover, these features will keep the weight lighter. However, they tick off the comfort level. 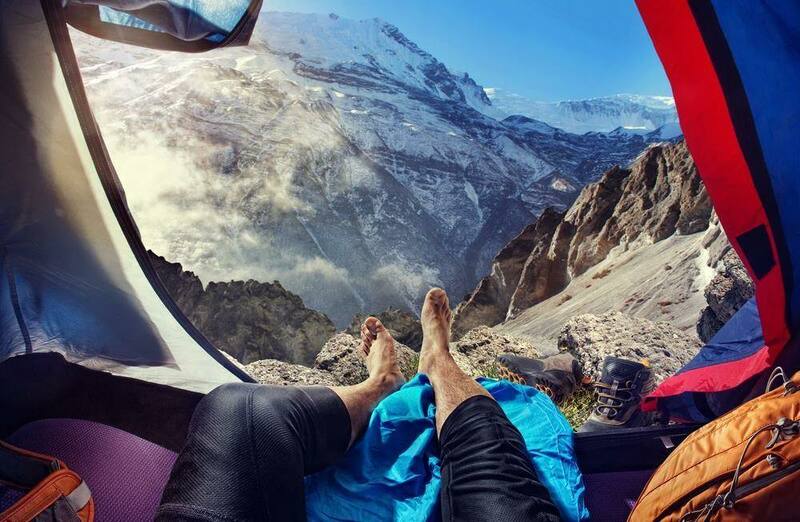 But the newer designs of backpacking tents are offering more open interiors.. And what’s even greater is that it does not compromise the weight of these tents. Also, other features to consider for your tent’s comfort level is the protection on the exterior surface, the ventilation, and the location of the doors. Ask yourself some important questions to determine the comfort level of your tent. You may ask yourself: would you like to sleep outside of your backpacking tent? would you like to get more connected with nature? Or do you want to fall asleep outside because you want to stay awake all night long? Are you open to sleeping with dirt and bugs around you? 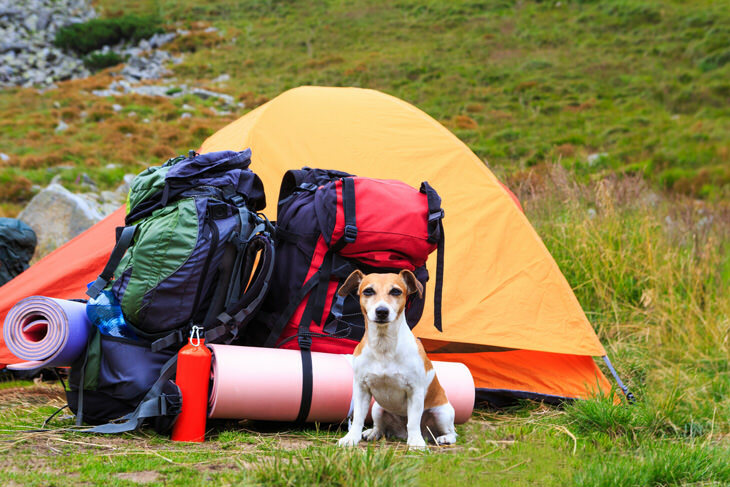 If you are a solo adventurer with a dog with you, you may choose a 2-person tent. Also, for a couple going on a hike, you may opt for a 3-person backpacking tent to allow more room. For fair weather conditions, some campers prefer lightweight tents which can just withstand light rains, winds, and snow. But for the majority, they would tend to select tents that can adapt to any weather conditions, even the worst one. To have a lightweight backpacking tent, you may want to have a tent with a few accessories and poles. New models may be easy to set up using hiking sticks. Plus, they reduce the weight of your pack. High-quality backpacking tents may have $200 up to $500 price tags. Those tents which are cheaper than these tents may have less durable materials. 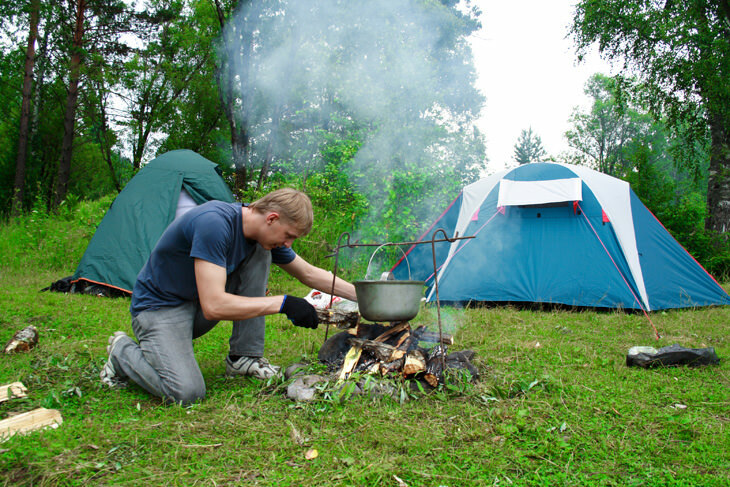 However, for wise campers, they usually invest in their high-end backpacking tents a year before their activity. That way, they could save more to purchase a high-quality tent. What’s even great is that the tent’s vestibule is excellent for storage and additional weather protection. It also comes with weatherproof rainfly buckles that are adjustable. Plus, it comes with half mesh walls for increased ventilation. The tent also includes guy ropes, aluminum stakes, mesh storage pockets, and gear loft. For its dimension, the base size of the tent is 7’6” x 2’8”, with 3’ height in the middle. 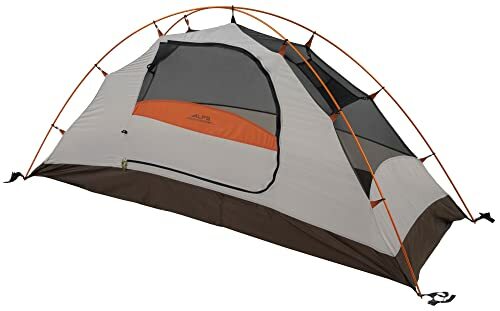 Also, the weight of this tent is 3 pounds and 15 ounces, which is quite lighter compared to other tents. 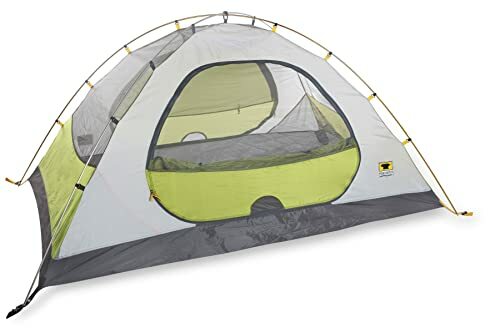 The Mountainsmith Tent has been recognized by the 2011 Backpacker Gear Guide and even awarded as the “Killer Deal” and the “Killer Value.” Additionally, it has a bathtub floor design and taped seams that keep the interior of the tent dry. It is a 2-person backpacking tent and also has a 2-pole model. What’s great about this backpacking tent is that it comes with a color-coded rainfly. Plus, the instructions are labeled on the sack of the tent. It has a polyester rainfly with polyurethane coating. Moreover, it has a polyester floor with polyurethane coating. For storage, it has a nylon sack. With 35-square feet in the central space and 14-square feet in vestibule room, this backpacking tent has plenty of space to offer. And it weighs 11 ounces or 4 pounds. The Mountainsmith Tent has been recognized by the 2011 Backpacker Gear Guide and even awarded as the “Killer Deal” and the “Killer Value.” Additionally, it has a bathtub floor design and taped seams that keep the interior of the tent dry. It is a 2-person backpacking tent and also has a 2-pole model. What’s great about this backpacking tent is that it comes with a color-coded rainfly. Plus, the instructions are labeled on the sack of the tent. The tent has a polyester taffeta material. It comes with a free standing 2-pole innovative design. Plus, it has shock-corded fiberglass poles, and it has an excellent ventilation system. Additionally, this tent comes with 2 zipped windows and large-sized side mesh sheets. Its ride pole offers an awning over every door of the tent. It also comes with Factory-sealed floor seams and rain fly. Lastly, it has a convenient entry with a single zip door. The tent has a polyester taffeta material. It comes with a free standing 2-pole innovative design. Plus, it has shock-corded fiberglass poles, and it has an excellent ventilation system. 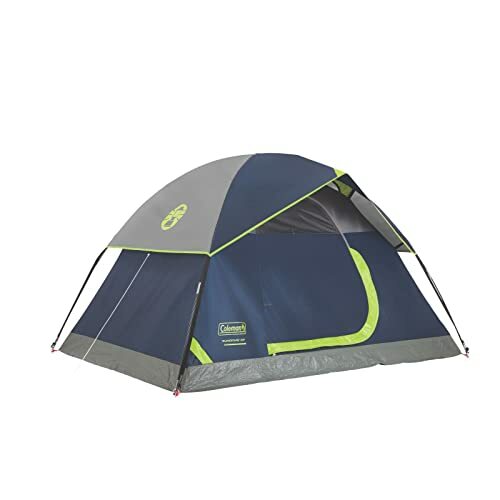 Additionally, this tent comes with 2 zipped windows and large-sized side mesh sheets. Its ride pole offers an awning over every door of the tent. It also comes with Factory-sealed floor seams and rain fly. Lastly, it has a convenient entry with a single zip door. The tent is quite compact and small. Also, it is ideal for a 1-man trip. It comes with PU coated rainfly. Plus, it is a single entry tent, and it has taped seams. Moreover, the interior of the backpacking tent has a nylon with polyester mesh. The tent is very lightweight for campers and hikers. Plus, it comes with a waterproof polyurethane coating. It also has DAC Featherlight poles. But what sets it apart from other backpacking tents is the fact that it comes with a repair kit. The tent is quite compact and small. Also, it is ideal for a 1-man trip. It comes with PU coated rainfly. Plus, it is a single entry tent, and it has taped seams. Moreover, the interior of the backpacking tent has a nylon with polyester mesh. The tent is very lightweight for campers and hikers. Plus, it comes with a waterproof polyurethane coating. It also has DAC Featherlight poles. But what sets it apart from other backpacking tents is the fact that it comes with a repair kit. Backpacking adventures can create enjoyable experiences. 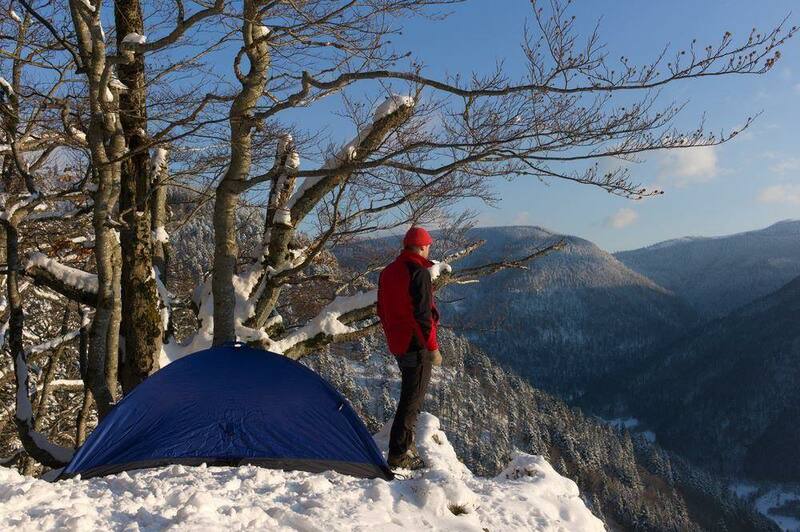 So, you must remember that you need to choose the best backpacking tents for your outdoor trips. However, purchasing the most affordable with the highest quality of materials can be quite challenging. With the use of the list of tents provided above, it may give you some great ideas on which tent best suits you. To ensure that you pack lightly during your 1-man trip, you may choose the Alps Mountaineering Lynx 1-Tent. Moreover, this tent will make sure that you will remain dry and protected from any harsh weather conditions. 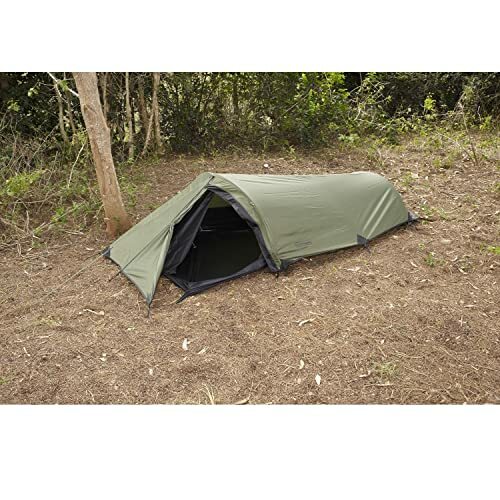 Additionally, this tent is very affordable, and it will elevate your comfort level. Plus, it will also meet your overall wilderness goals. I hope this article helped you, do you have any more questions, and suggestions? Ask me in the comment section below! I love to hear from you! Quilt vs Sleeping Bag: What’s The Best One For Backpackers?